My name is Sloth - Your Majesty Lord King Sloth, to be precise. I am going to give you readers the privilege of reading about a day in my life, although, I suppose I should tell you a bit about myself first, seeing as some of you still live under rocks and don't know who I am. I am a Pink Meepit, and I am head of Neopia's largest and best Meepit Army. I live in an abandoned shed in the grounds of Eliv Thade's castle. He has no objection to me living there, provided I scare his unwelcome visitors to the front door so he can challenge them with anagrams. Scaring Neopians is something I like to do on a daily basis, so I don't mind. The particular day I am going to describe to you starts off with getting out of bed, as one's day generally does. I scrounge the cupboards for food, and eventually decide on a Squishy Brain Wrap. Brains are a healthy start to any Meepit's day. I then change out of my royal-looking pyjamas and put on my royal maroon cape (with a fur collar of course!) and my gold crown. The idiot who made this crown made it slightly too small, but I don't mind, because it matches my cape so well. I then make my way to a High Council meeting. The High Council is a group of the best Meepits in my army – the leader from each group. My army is divided into groups to make things more organised – warriors, spies, thieves, scientists and collectors. The collectors generally gather stuff like acorns for the scientists. Since the feepits destroyed our last Head Quarters, we now hold our meetings in the gallery next to Thade's castle. It is the one that has a painting of each Halloween Neopet, so that other Neopians can recognise them. Nobody goes in there much though, so it is a safe place for a meeting. I arrive there on time. Of course, whatever time I arrive is the correct time and anyone who arrives after me is late. Today, everyone is running late. How annoying! I occupy myself by dragging out the cushions we sit on, and sitting on the most comfortable one there. I don't have to wait too long before the others start to turn up. Major General Roger is first – he is my head spy. He is a little self-centred, but he seems to do his job well enough. He is closely followed by Major Generals Daisy and Lily, head warrior and collector respectively. Major General Charles rushes in a moment later and mumbles some excuse about having to steal his breakfast. Yes, he is head thief. We don't wait for Major General Alex, scientists are too unreliable, and chances are, he has forgotten altogether about the meeting. I call the meeting to order, and we start with the reports from the Major Generals. The new recruits, as always, are apparently awful. The generals spend some time complaining over that before I can get any more useful information out of them. Lily, the most sensible and least self-centred of my generals eventually reports that the acorn collecting is going well and that soon we will have enough. Due to secrecy reasons I will not tell you (the reader) what they are for. Roger then gives the latest updates on what the Feepits are up to, which concerns me a little. They seem to be working out ways of spying on us. I decide to set a few extra Meepits as guards on our most important locations, and increase the level of spying done upon the Feepits. Daisy simply reports that the training of her warriors is going well and Charles hasn't stolen anything that I am able to mention here. We are about to start discussing any important issues that may have arisen since our last meeting when Major General Alex turns up. He always manages to make an entrance; he is glowing green as a result of all his experiments. He sits down quietly enough and briefly makes a report that his experiments using acorns are going well. 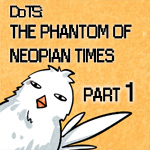 We then discuss those potentially important issues, the main one being the Feepits attempting to spy on us, but I have already decided what must be done about that so we don't discuss it much. Feepits are not the best topic of conversation anyway, except for insulting. We mention some alarming rumours that have been spreading about Petpets disappearing at a worrying rate. 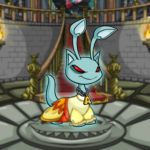 Not just the usual being zapped by the Petpet Lab Ray or being captured and kept by Neopets, they are now apparently vanishing without a trace on a regular basis. We decide that from now on no Meepit is to travel anywhere without someone else knowing where he or she is going and what they are going to do, and when possible, they are to travel in groups for safety. Roger and his spies are to try and find out what is happening to these Petpets, but are instructed to be extremely careful until we know what exactly is happening. My army of Meepits may be awesome and strong but we are not arrogant enough to think we are immune, although, so far, there has been no report of a Meepit disappearing. We then arrange to meet again after lunch in our favourite deserted clearing to sort some new recruits into their groups. That should be interesting; we have our fingers crossed for a smarter bunch than last time but with Lieutenant Matthew in charge of them, you never know how they will turn out. I leave the meeting and make my way over to Spooky Foods to get some lunch. I have no intention of buying it, but it should be pretty easy to steal some from a customer. Like I said earlier, scaring a Neopet is something I like to do on a daily basis; it is good for my health. I soon arrive at Spooky Foods and spot my target – a nervous looking Cybunny clutching a sandwich of some sort. I can't tell what, but it smells great! I hide in a bush next to her and rustle it a bit. She jumps and spins around in a circle, but doesn't spot me staring at her. I rustle it again. She still doesn't see me, so I reach out of under the bush and poke her with a stick. She turns around and spots me staring at her. As I blink once, she starts backing away slowly. I blink again. She screams, drops her sandwich and runs away. Mission successful! As I eat what turns out to be a very tasty lunch (even more so because of the method used to get it) I make my way slowly to the deserted clearing. The Major Generals are all here on time, which makes a nice change. We hide behind some trees and watch the new recruits for a moment. Lieutenant Matthew is trying to give them some basic drill work, which appears to be ending in disaster. Matthew is eventually forced to mention my impending visit to get their attention, and I decide it is time to step in personally. The recruits hastily stand to attention before given the order, earning them a glare from Matthew. I watch as my generals walk around the recruits in a circle, silently inspecting them. After a vague nod of approval, it is time to start sorting. We briefly quiz the recruits to get an idea of what each individual is like (stupid, lazy, arrogant- with stupid being the main trait we pick up) and then start them on a small obstacle course in which the generals fight over who gets the meepits who actually manage to complete the course. As none of them do, we end up pulling names out of a hat. If the recruits don't suit the tasks given to them, we can swap them around later. I am getting tired now, so when I reach Thade's Castle I slip in quietly through a side gate to avoid one of his stupid anagram challenges. I search the cupboards again for something to eat and then collapse into bed. It has been a mostly productive but tiring day, and I have no difficulty in falling asleep.